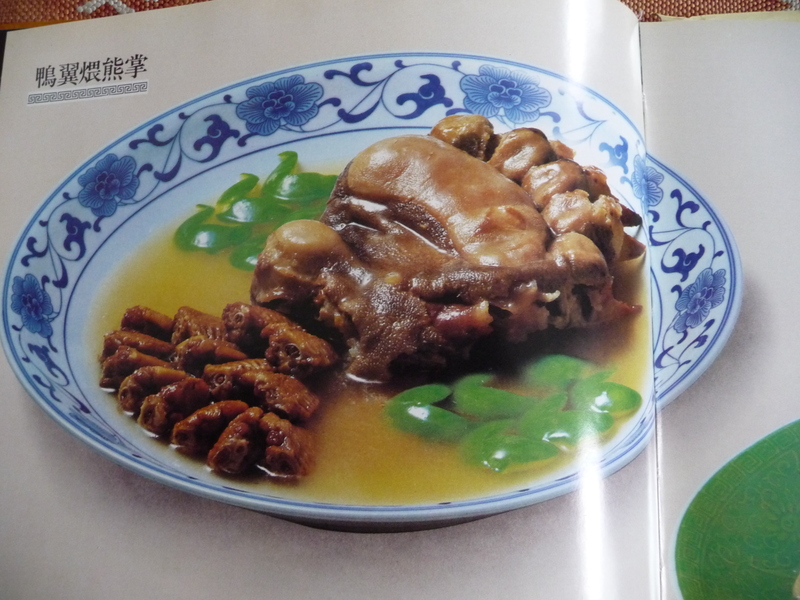 Bear’s paw is one rare Chinese delicacy that I have never been offered, thank goodness. If in the future I do see one on a dinner table, rest assured that I will restrain my curiosity and refuse it. And yet I can’t help wondering if eating such things, gross and unconscionable though it may be, is any worse than driving a car, travelling by plane, using consumer goods whose manufacture and disposal causes catastrophic pollution, or eating a lot of factory-farmed meat. It’s much easier to make a moral point by refusing bear’s paw (particularly if it’s not part of your own culture) than it is to address seriously the impact of our consumerist lifestyles on the planet and its biodiversity, isn’t it? A very lovely mention in the Guardian today! I don’t know: there a lot of idiots about who can junk food themselves to death, but should they take the wild ones with us? We can farm, but we can’t (and shouldn’t try) to recreate. Resorting to an ascetic lifestyle vis-a-vis St. Francis would be a stretch for most people in developed societies in this day and age. And people tend to adjust their actions in light of fiscal considerations/ramifications. That said, as supposed stewards of the earth, consuming endangered species owing to spurious superstitions concerning longevity and virility are antiquated concepts that need to be addressed and significantly altered. Do think that you are correct in appraising that pontificating about this whilst employing some moral yardstick is a dubious claim – but given the callous nature endemic to human behaviour, not sure as to the means to police such activity or even raise the clarion call on a wide scale. The sourcing of any ingredients from China at this moment in time seems ethically problematic. As a bipolar person myself, my love of all things Chinese and my passion for the Chinese supermarket have kind of disappeared. The bear, its paw, and the refusal to hypothetically eat it is a minor point. I am a Chinese-American food writer who just finished your memoir. I was so inspired by it, and your story — and don’t get me started on the writing. The first thing I thought when I finished it was, I can’t wait to send this to my mother! Anyway, I know it’s not kosher, but I’m still dying to see what a braised bear claw really looks like. Oh my goodness. I had no idea exactly how much likeness it would have to, well, a live bear’s paw! Fuschia, sorry I missed your session at the World Food Conference as I was in the other stream. Thanks for the link, Rebecca! It is a vile practice,bears shouldnt have to put up with humans extreme digestive systems.Nor should any animal.